Path Conditioning is another key feature of Unity EdgeConnect and necessary for any broadband WAN (a.k.a. SD-WAN) deployment as it provides private-line-like performance over the public Internet. Path Conditioning overcomes the adverse effects of dropped and out-of-order packets that are common with broadband Internet and MPLS connections. When combined with Silver Peak’s Dynamic Path Control (DPC), Path Conditioning helps power broadband WANs with the performance and reliability of a private MPLS network and the economics of broadband. While Silver Peak's DPC provides WAN performance enhancements with real-time traffic steering over broadband and MPLS links based on company-defined business intent policies and the condition of the paths connected to the branch, Path Conditioning complements DPC by overcoming the effects of dropped and out-of-order packets on the Internet connections. Adaptive Forward Error Correction (FEC). 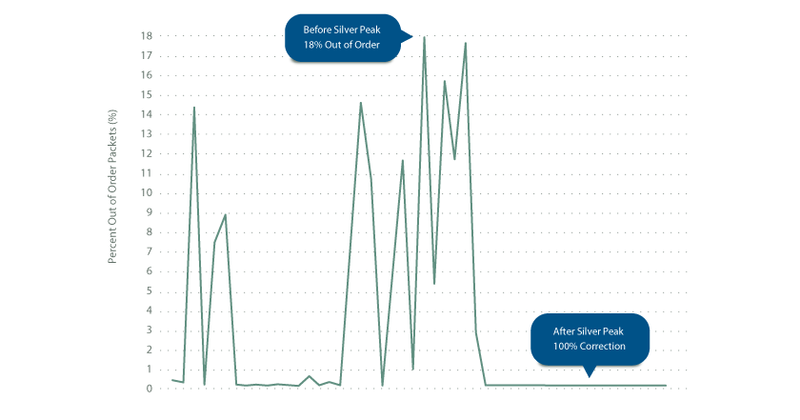 Silver Peak uses packet-level FEC to reconstitute lost packets at the far end of a WAN link, avoiding delays that come with multiple round-trip retransmissions. This enables WANs to easily recover from packet loss, regardless of the reason. The Silver Peak solution dynamically adjusts FEC in response to changing link conditions to minimize overhead. Real-time Packet Order Correction (POC). Silver Peak software resequences packets across all IP flows on the far end of a WAN link to avoid retransmissions that occur when packets arrive out of order. By doing this in a dedicated data acceleration device, Silver Peak delivers scalability to handle high volume, high throughput data streams with minimal added latency. Silver Peak’s Path Conditioning techniques are ideal for running time-sensitive applications, like voice and video, over the Internet. These applications are sensitive to latency caused by packet retransmissions. These applications also often run over UDP, making Silver Peak’s protocol-agnostic Path Conditioning a better fit than alternative TCP-based loss mitigation techniques. 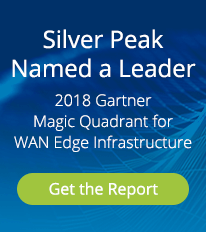 This white paper highlights Silver Peak's Dynamic Path Control (DPC), which gives organizations the ability to intelligently route applications over multiple WAN links, including the Internet. The white paper reviews a sample architecture, DPC configuration options, and monitoring. This Silver Peak customer profile highlights how memory products leader, Kingston Technology, improved replication performance over distance while reducing its dependency on MPLS. Carnival Australia is a division of Carnival Corp. and is the leader of the Australian and New Zealand cruise industry responsible for seven ships operating in Australian waters – four P&O Cruises’ ships and three Princess Cruises’ vessels (including Sea Princess from September 2011). P&O Cruises has been cruising from Australia since December 1932 when the P&O mail steamer, Strathaird, departed from Sydney on a five-day cruise to Brisbane and Norfolk Island. In addition to operating P&O Cruises, Carnival Australia represents a number of Carnival brands – P&O Cruises World Cruising (UK), Cunard Line, Princess Cruises, Seabourn and Carnival Cruise Lines.